Experience a relaxing all-inclusive Avalon River Cruise! We're here to help you find your perfect river cruise, at the best price for 2016 - 2017 cruises. Board your ship in Arles and sail north up the scenic Rhône and Saône Rivers. 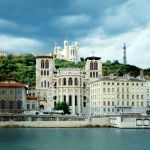 Along the way, explore Arles, Avignon, delightful Viviers, medieval Tournon, charming Vienne, France’s gastronomic capital of Lyon, as well as Mâcon, Tournus, Chalon-sur-Saône, and fascinating Beaune. In Paris, embark your second cruise ship begin your journey along the Seine River into the picturesque Normandy region. In Vernon choose between a guided visit of Claude Monet’s stunning gardens at Giverny or magnificent Bizy Castle. On to Joan of Arc’s historic Rouen, where you choose between an included excursion to Normandy’s historic landing beaches or a “Taste of Normandy.” Continue to Les Andelys, home of dramatic Château Gaillard. Next your choice of tours to either Vincent Van Gogh’s Auvers-sur-Oise or Napoleon and Josephine’s elegant Château de Malmaison. Back in Paris for guided sightseeing taking in the most famous sights of this magnificent city, a truly magnifique cruise holiday. Sail along the Moselle, Rhine, Main, and Danube Rivers and through the dramatic Rhine Gorge and Main Danube Canal on this remarkable river cruise vacation. Your journey begins in Remich, Luxembourg, where you embark your river cruise ship. Guided sightseeing in each city shows you the highlights, with inside visits to Siegfried's Mechanical Musical Instrument Museum in charming Rüdesheim, the Bishop's Residenz in Würzburg, and Melk's Benedictine Abbey. Other highlights: pass the legendary Lorelei rock, and participate in a lively beer tasting. All of this and more awaits on this marvelous cruise vacation. A Taste of the Danube Cruise Only Eastbound (WVB0) from Vienna to Budapest WVB0 4 Days from $1,199.00 Discover the fascinating and scenic Danube with its charming small towns and exciting cities on this river cruise vacation. Enjoy the serene atmosphere as you glide along the river, passing quaint villages and scenic beauty. In Vienna, the "City of Music," board your river cruise ship and begin exploring the natural beauty of Austria's Wachau Valley, where much of Austria's wine is grown. Visit Melk's impressive and breathtaking Benedictine Abbey, see Dürnstein's baroque Stiftskirche, and enjoy guided sightseeing in Slovakia's vibrant capital of Bratislava. Your journey concludes in exciting Budapest. Discover the fascinating and scenic Danube with its charming small towns and exciting cities on this river cruise vacation. Begin with a guided sightseeing tour and a 2-night city stay in Vienna, the "City of Music." Savor Sachertorte in a local café, spend time in one of the many marvelous museums, shop along the Kärntnerstrasse, or stroll along the historic streets. Then, board your ship and explore the natural beauty of Austria's Wachau Valley, passing quaint villages and scenic beauty. Visit Melk's impressive and breathtaking Benedictine Abbey, see Dürnstein's baroque Stiftskirche, and enjoy guided sightseeing in Slovakia's vibrant capital of Bratislava. Your journey concludes with two overnights in exciting Budapest. Explore the famous Central Market Hall, wander around the former Royal Palace grounds, explore Budapest's famous churches and more. Discover some of the continent's best-kept secrets on this river cruise through Eastern and Central Europe. Guided sightseeing in each city shows you the highlights, with inside visits of Tsarevet's Fortress in Veliko Târnovo, Kalemegdan Fortress in Belgrade, and Melk's awe-inspiring Benedictine Abbey. Also enjoy an organ concert in Pécs, wine tasting in the Wachau Valley and beer tasting in Regensburg. Cruise through the dramatic Iron Gates gorge and Main Danube Canal, and visit the Lepenski Vir archaeological site on the banks of the Danube in Serbia, and the diverse rock formations of Belogradchik. Visit Hungary's vibrant capital, Budapest, Austria's Vienna and delightful Dürnstein and many more before disembarking in Nuremberg, where this marvelous vacation concludes. Central European Experience Cruise Only Eastbound from Remich to Prague 2016 is 8 Days from $2,899 This marvelous Central Europe river cruise introduces you to the magnificent Moselle, Rhine, and Main Rivers, as well as to the fascinating Main Danube Canal. Your vacation begins in Remich, Luxembourg, where you embark your river cruise ship. Enjoy guided sightseeing in Trier, Würzburg, and Bamberg. Visit Siegfried's Mechanical Musical Instrument Museum in pretty Rüdesheim, the Bishop's Residenz in Würzburg and taste some of the Moselle's much loved wines in Bernkastel. Other highlights: cruise through the dramatic Rhine Gorge, and see the legendary Lorelei rock. Disembark in Nuremberg for the conclusion of your vacation. On this magnificent cruise vacation, enjoy seeing some of Central Europe’s splendid capitals—Prague, Vienna, Bratislava, and Budapest—as well as many small towns that dot the landscape along the way. Explore the grounds of majestic Hradcany Castle in Prague, savor a Sachertorte in Vienna, visit St. Martin’s Cathedral in Bratislava, and shop for paprika in Budapest. But in addition to these vibrant cities, there’s even more…explore Germany’s Passau, located at the confluence of three rivers, and Linz, Austria’s third-largest city. Visit the quaint historical theater in the resort town of Grein and one of Europe’s largest and most spectacular monasteries at Melk. Discover Krems in Austria’s Wachau Valley or choose to learn about wine, which is an important part of life in the Wachau region. Discover the fascinating and scenic Danube with its charming small towns and exciting cities on this river cruise vacation. Begin with a 2-night city stay in Vienna, the “City of Music,” for a more comprehensive experience. Savor Sachertorte in a local café, spend time in one of the many marvelous museums, window shop along the Kärntnerstrasse, or stroll along the historic streets. Then, board your ship and begin exploring the natural beauty of Austria’s Wachau Valley. 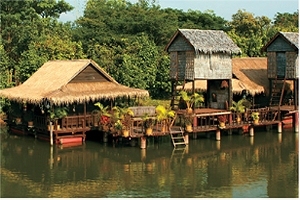 Enjoy the serene atmosphere as you glide along the river, passing quaint villages and scenic beauty. Balkan Discovery with Extended Stay in Bucharest Eastbound from Budapest to Bucharest 2016 is 12 Days from $3,479 Fall in love with the Danube—with its charming small towns, scenic beauty, and exciting cities, starting with a 2-nights in vibrant Budapest, Hungarian, discover its various offerings and famous paprika at the Central Market Hall, visit the massive castle complex, and many museums. Then, board your ship and discover Slovakia’s vibrant capital of Bratislava, explore the quaint town of Dürnstein with its baroque Stiftskirche, visit Melk’s awe-inspiring Benedictine Abbey, visit Linz and the natural beauty of Austria’s Wachau Valley. Your vacation ends in the “City of Music - Vienna” where you’ll spend an additional two nights. Enchanting Belgium Southbound (WAN) Amsterdam to Namur 2016 8 Days from $2,699 Discover picturesque Holland and Belgium in the spring on this marvelous river cruise vacation! Drink in the colorful blooming beauty of famous Keukenhof Gardens, vibrant gardens with the world’s largest bulb flower park, visit one of the charming windmills at Kinderdijk, and learn about Holland’s complex flood controls at the fascinating Delta Works. Discover St. Baaf’s Cathedral in medieval Ghent, explore Antwerp, and visit Maastricht, the university town on the borders of Belgium and Germany. End your cruise with a canal cruise in Amsterdam. All of this is waiting for you on this vacation sure to delight all of your senses! 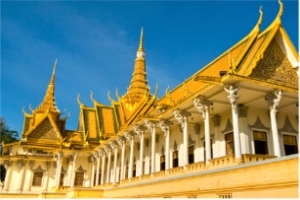 tour of the city by private cyclo, with visits to the National Museum and the Royal Palace with the stunning Silver Pagoda and more. River — Southbound (WSH) 13 days from Siem Reap to Ho Chi Minh City Starting at: $4,079.00 (not including airfare)* Start in Siem Reap, where you will visit the spectacular Angkor temple complex, whose architectural grandeur is arguably unmatched among the world's ancient ruins. See several of the temples, including spectacular Angkor Wat and the mesmerizing faces of Bayon. 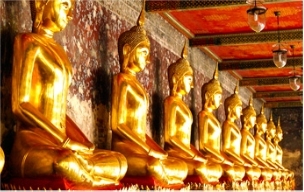 Here you will also enjoy a private Apsara dance performance and project teaching young adults traditional handicraft techniques. Then, start your cruise on the Mekong River, the thread that connects the people of Southeast Asia. that will create memories you won - t soon forget! how rice paper and traditional candy are made. 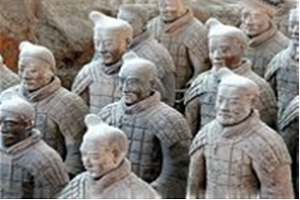 and cloisonné workshops, and attend a noodle-making demonstration. 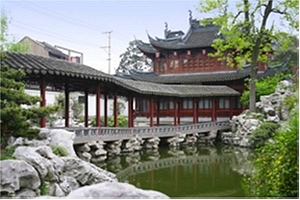 You’ll tour the ancient Hutongs by rickshaw and visit a silk factory. 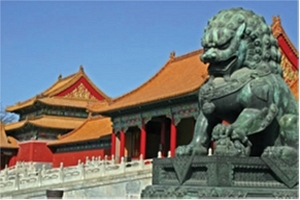 EXTEND YOUR CULTURAL CHINA & TIBET + YANGTZE RIVER CRUISE + HONG KONG 18 DAYS HONG KONG TO BEIJING (WXYQ) from $4,189.00 This exciting vacation introduces you to the rich history and cultural treasures of China and Tibet as well as the magic of the Yangtze River. and visits to a local family home for lunch, a local bazaar, and the imposing Potala Palace, former winter home of the Dalai Lama. Dine at a local restaurant with traditional Tibetan music and dance. an excursion to Otavalo’s famous Indian market. 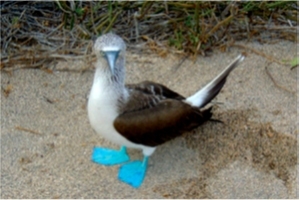 the company of a local Naturalist, you’ll encounter indigenous plants and animals found only in the Galápagos Islands. For travelers who want to see ancient ruins, learn about new cultures, and be awed at the amazing natural world, this trip is not to be missed. The Nile River at over 4,160 miles long is the longest river in the world, and the lifeline to Egypt's civilization. 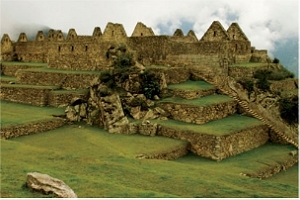 Tour incredible temples, tombs and awesomely preserved Pyramids. Cruise Lake Nasser, a high dam reservoir created to contain the Nile, as it had threatened so many ancient Egyptian and Nubian archaeological sites. These sites had to be dismantled and moved to higher ground, the most important being Abu Simbel. Visit Egyptian Tour Options Here. on ships to worldwide destinations. has become an even more important river cruising market in the last few years. The Seine's scenery will not disappoint river cruisers who are excited about the romance depicted by many impressionistic French painters, and the charming bucolic countryside of the Normandy Region.. In addition to seeing architectural marvels like the Louvre, the Eiffel Tower and Notre Dame cathedral, the Seine river has 37 picturesque bridges called Ponts in Paris alone! The famous Rive Gauche (Left Bank) is one of the most romantic districts in the city made up of the 5th and 6th arrrondissements [districts] of Paris. A Seine river cruise through France is ideal for art, architecture, history, food & wine lovers. Saone and Rhone rivers. It is the and third largest square in France, a place to sit on the stairs and of the riverside and watch the water traffic, take lunch or visit with friends or associates holding an al fresco business meeting. The Rhone is France's longest river and meanders through France and Switzerland at approximately 505 mi (813 km) long. The river flows from Switzerland to a point near Arles near its mouth on the Mediterranean Sea the river divides into two rivers called the Little Rhone and the Great Rhone. The Rhone is not navigated by a river boat cruise ship all the way to the Mediterranean however. The Rhone is the only major European river that flows directly into the Mediterranean Sea. An important inland trade and transportation route since Greek times, the Rhone River flows south to the Mediterranean, winding through the orchards and vineyards of the fertile Rhone Valley. One of the great wine producing Regions of France. Of all the French rivers, the Rhone has the largest water flow due to its Alpine characteristics. The Rhone rises as an effluent of the Rhone Glacier in Valais in the Swiss Alps from the north and also flows into Lake Geneva, the Rhone Glacier is the source of the water of the Rhone river. See France at its scenic best on a charming Rhone river cruise. The Rhine is one of Europe's most legendary rivers, flowing from the Swiss Alps of Switzerland, through Germany, and to Holland’s North Sea, the Rhine River is the second longest river in Europe, a major trade routes for many centuries, and some of the most spectacular scenery in Europe. It is most famous for its legendary Lorelei rock and the imposing medieval castles and vineyards that line its banks. Sail through the spectacular cities like Cologne, Heidelberg, Strasbourg and Basel on a Rhine river cruise, on along the waterways of Holland into Amsterdam. The Main winds across Central Germany, the Main River is formed by the joining of the Red Main and the White Main, meeting the Rhine River at the town of Mainz. The Main-Danube canal, which joins the Main River and Danube River, stretches for a length of 106 miles from Bamberg to Regensburg, with a total of 16 locks, making it possible to travel via river cruise ship from the North Sea to the Black Sea. The Moselle is a tributary of the Rhine River, Flowing through France, Luxembourg, and Germany, the Moselle River is known for its picturesque medieval castles and excellent wines, such as Riesling, Elbling, Müller-Thurgau and Kerner. A Moselle river cruise is a remarkable vacation that introduces you to Central Europe via its waterways. The Danube is Europe’s second-longest river and a vital means of transportation for 2,000 years, the Danube is the only major European river to flow from west to east. The Danube river rises in Germany’s Black Forest and flows through or along the borders of 10 countries – Germany, Austria, Slovakia, Hungary, Croatia, Serbia, Bulgaria, and Romania, where it divides into an expansive delta, the northernmost branch of which continues along the border of Ukraine and Moldova, before entering the Black Sea. Mekong River cruising between Ho Chi Minh City to Siem Reap in these intimate charming ships, in an outside stateroom with hotel-style beds. Enjoy an intimate river cruise experience on the a new ship the Siem Reap with a maximum of 36 guests on board and American breakfast daily, 11 lunches, 11 dinners, including a welcome dinner in Ho Chi Minh City. While on board the ship, enjoy complimentary wine with dinner and complimentary coffee, tea, soft drinks, local beer, and spirits throughout the day. Irrawaddy River - it's name having several different spellings, originates in the Himalayas, then the Irrawaddy flowing from north to south, through the Irrawaddy Delta, emptying into the Andaman Sea. As you cruise along the Irrawaddy, each day is a tapestry of exotic flavors, captivating panoramas, and bustling river activity. Watch the fisherman working their catch of the day, villagers making candy from the sap of the toddy palm tree, and visit a monastery, where you will present alms to the monks and observe their daily lunch ritual, and interact with children at a village school. Other highlights include a visit to a local farmer’s home to learn more about his work and life. You’ll even have a chance to ride an elephant! All this and more awaits on this incredible adventure.